A star vehicle for teen idol Bobby Sherman, ABC cancelled this 1971 spin-off from The Partridge Family after just 14 episodes. Getting Together (sometimes inaccurately referred to as The Bobby Sherman Show) premiered in September 1971 on ABC, airing Saturdays from 8-8:30PM opposite All in the Family on CBS and The Partners on NBC. All in the Family crushed its competition: Getting Together was dropped at mid-season while The Partners somehow managed to hang on for the entire season before being cancelled. 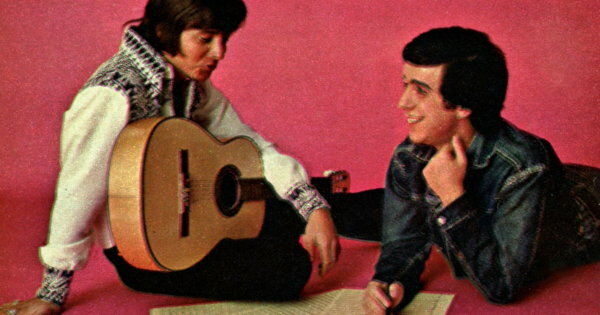 The sitcom starred Bobby Sherman and Wes Stern as aspiring songwriters Bobby Conway and Lionel Poindexter. Bobby composed the music while Lionel, who was tone deaf, penned the lyrics. The two weren’t yet successful at getting their songs recorded and lived in an antique store with Bobby’s younger sister Jenny (played by Susan Neher). Their landlady, Rita, was played by Pat Carroll. Jack Burns played Rita’s boyfriend Rudy, a police officer. To help pay the rent, Bobby worked at a recording studio. The characters of Bobby Conway and Lionel Poindexter first appeared in the first season finale of The Partridge Family, broadcast on Friday, March 19th, 1971. In the episode, titled “A Knight in Shining Armor,” Bobby tries to convince the Partridges to record some of his songs. Instead, they introduce him to Lioinel, who sent the Partridges some of his poems. Perhaps the two can work together. So, with Bobby in tow, the Partridges head to Denver to meet with the eccentric Poindexter (they find him wearing a suit of armor) and a creative partnership is born. “A Knight in Shining Armor” was written by Bernard Slade, who created The Partridge Family. A working title for the episode was “Words & Music.” Getting Together was a Screen Gems production overseen by Bob Claver and Paul Junger Witt, who also produced The Partridge Family. The pair had earlier producd Here Come the Brides for two seasons on ABC, which co-starred Bobby Sherman. Getting Together premiered on Saturday, September 18th. The debut saw a social worker, uncomfortable with Jenny’s living arrangements, threaten to remove her from Bobby’s custody. In response, Bobby makes the tough decision to ask Lionel to move out, hoping that will convince the social worker he is serious about taking care of his sister. However, the plan backfires when Jenny, upset at the prospect of having ruined her brother’s partnership with Lionel, runs away. Everything worked out in the end, of course. Later episodes saw Bobby and Lionel agreeing to participate in a scientific experiment, Bobby trying to help a young boy whose mother doesn’t want him to be a singer, Rita and Rudy feuding, Jenny preparing for her first date, and the dating woes of both Bobby and Lionel. Guest stars included Cindy Williams, Martin Speer, Della Reese, Little Dion, Roger C. Carmel, Stuart Margolin, Rob Reiner and Penny Marshal. Critics were split on whether Getting Together was worth watching. Raymond Hart of The Cleveland Plain Dealer suggested it had “about as much chance of making it over the long haul as a sprinter with a sore foot” . The Chicago Tribune‘s Clarence Peterson, on the other hand, called it “a pleasant little story for the kiddies, harmless and entertaining and neither preachy nor patronizing” . Harry Harris of The Philadelphia Inquirer referred to it as “teeny tribulations for teenyboppers,” which could be taken positively or negatively . Getting Together was crushed in the ratings by All in the Family, regularly ranking near the bottom of the Nielsen charts, which at the time regularly included between roughly 65 programs week week. The October 2nd episode ranked in the “upper half” of programs below the 50th spot . 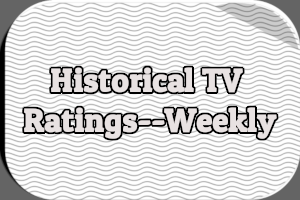 The October 16th episode was in the bottom third of programs ranked below the 40th spot . Getting Together was initially supposed to air opposite My Three Sons on CBS, not All in the Family. Had it not faced such stiff competition from All in the Family, or if ABC had scheduled it after The Partridge Family, perhaps it would have lasted longer. The network cancelled the series in November 1971 . The 14th and final episode aired on January 8th, 1972. Despite its brief run, Getting Together produced quite a bit of memorabilia. The theme song for the series, performed by Bobby Sherman, was not surprisingly titled “Getting Together” and was released as a B-side on a 45 record (the A-side was “Jennifer”) by Metromedia Records. Metromedia also issued an LP titled Getting Together, which included the theme. Two tie-in novels were published by Curtis Books: Getting Together by Judson McCall and Getting Together #2 – Bobby: Superstar by Chris Stratton. Charlton Comics released a single comic book based on the series. A trading card set was created by Topps but never officially release. According to the official Bobby Sherman website perhaps only 20 complete sets were produced. Getting Together never aired in syndication. The backdoor pilot for the show can be found on the Season 1 DVD set of The Partridge Family, released in 2005. 1 “It’s anyone’s guess — and they’re all guessing.” Broadcasting. 27 Sep. 1971: 12-19. 4 The episode was in the “Upper Half of Below 50” according to Broadcasting (“A new order for the third week,” October 18th, 1971, Page 80). 5 The episode was in the “Bottom Third Below 40,” according to Broadcasting (“Series game flips Wilson out of top spot,” November 1st, 1971 Page 95). 6 “Midseason changes completed.” Broadcasting. 22 Nov. 1971: 32-34. 1 From TV Guide, September 11th, 1971, Page 25. ‘Getting Together’ averaged in 10.1HH in the 1971-72 season, and was replaced at midseason with the last part of the final season of ‘Bewitched’ which took over the Saturday night death slot against ‘All in the Family’. 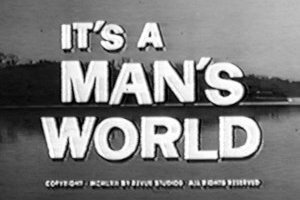 I could be wrong in my memory, but I think ABC retitled this show to ‘The Bobby Sherman Show’ midway in its run, and focused the show more on him and his romantic escapades, and less on his songwriting partner. Re-titling / re-booting of shows midway through their runs with new titles was quite the thing back then, especially when the networks were trying to build a sitcom around one of their key stars…I think similar re-dos happened around sitcoms involving Mr. Paul Lynde, Miss Sandy Duncan and Mr. Andy Griffith. There was also a convention of using the word ‘New’ in series titles, which ws adspeak for new and improved, and worth checking out again for those viewers who had taken an initial pass. I also want to add my two cents’ worth to the discussion – and you can back me up on it if I have missed some important facts. After ‘Bewitched’ ended its run in the summer of 1972, ABC thought they could make another run at counter-programming against ‘All in the Family’ by moving the western ‘Alias Smith and Jones’ to the 8:00 pm time slot on Saturdays. Sadly, that didn’t work, as ‘Alias’ was already suffering in quality due to one of its stars’ (Pete Duel) death. The show was canceled in mid-season and was replaced by two new comedies that I don’t think are much-remembered today: ‘Here We Go Again’ and ‘A Touch of Grace.’ Both shows also died at the end of the 1972-73 season. Ironically, ABC would also move ‘Getting Together’s’ parent show, ‘The Partridge Family,’ from its comfortable Friday night time slot at 8:30 pm to 8:00 on Saturdays, against ‘All in the Family.’ That decision by the network brass meant that the show was essentially doomed to cancellation, and it expired after summer reruns in 1974. The Partridges’ former Friday night companion, ‘The Brady Bunch,’ was also canceled that same year. I’m not sure if Getting Together was actually retitled The Bobby Sherman Show during its brief run. I do know that when it was announced in March of 1971 it was referred to as “The Bobby Sherman Show,” which could have been a working title or a name used by reporters in lieu of an actual title. As a side note, the pilot episode “A Knight In Shining Armor” was the only “Partridge Family” episode released on DVD that was edited and missing the tag scene (which ironically was not cut from the 22 minute syndication versions). Sony was unable to offer an explanation for this oversight. 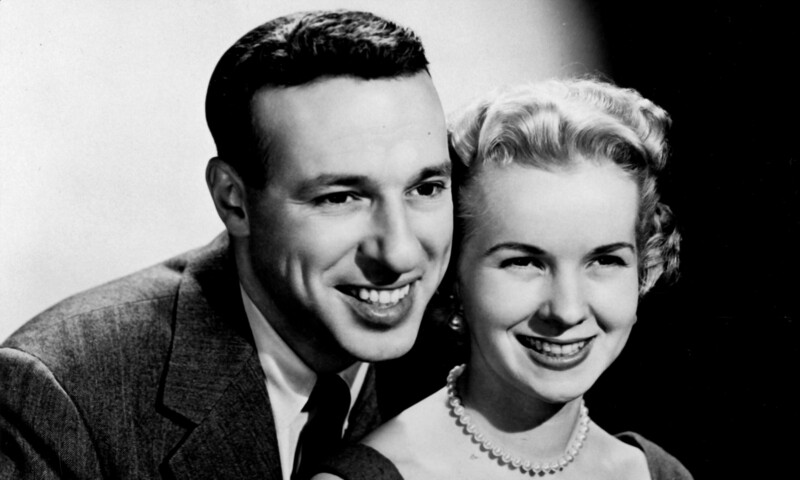 It was during this show that Sherman’s run of popularity began to level off and his days as a top teen idol coming to an end – and his label, Metromedia, was dying. 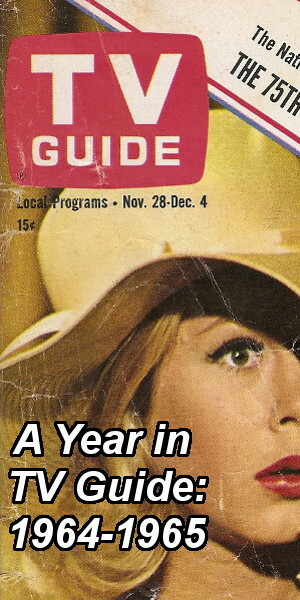 After one last minor hit (The Hillside Singers’ “I’d Love to Teach the World to Sing (In Perfect Harmony),” which was superseded in chart position by The New Seekers’ version on Elektra), Metromedia’s run as an independent label came to an end in late 1972 and for its last two years of existence, was distributed by RCA Records; the company’s publishing divisions, Sunbeam (BMI) and Valando (ASCAP), were later sold to The New York Times. Essentially, though they had several acts over their run, Metromedia Records ultimately lived and died by Bobby Sherman. I thought The Brady Bunch and The Partridge Family were on back to back on Friday nights. When did PF move to Saturdays? BTW, he still looks great. Just saw him just over a week ago. I’d love to see any episodes you have but can’t view anywhere…I have very slight memory of show from a 9 yr. old and always felt I was missing something too! So are you saying that half of the episodes of ‘Getting Together’ are still unaccounted for? I thought all the networks saved their original prime-time programming, no matter how short-lived a series was. I do know that they did wipe a lot of old game show and soap episodes, though. That’s a travesty, though. We’ve been blessed with every episode from, say, ‘The Brady Bunch’ and ‘Bewitched’ but not ‘Getting Together.’ But you can answer this for me: Was Bobby’s show ever put into syndication after the original run? Like, has another network like TV Land ever aired it? 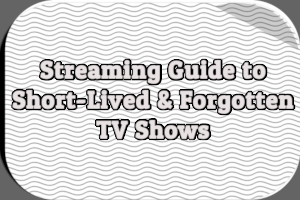 The shows are not “lost”. They are just not accessible to the general public, fans etc. 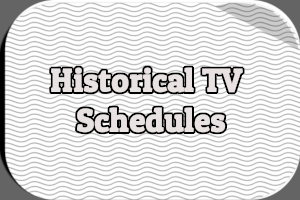 Private collectors of television programming have “acquired” the episodes that are out there now. The 35mm fine grain prints of all the episodes are tucked safely away in Sony’s vaults. Just try to get them though. Unfortunately, as Jeff states, the episodes not in the hands of private collectors are known to exist, potentially by multiple organizations, but are unavailable. This is the case with many of the shows I’ve written about. The pilot episode to The New People has been circulating for years but the remaining episodes are unavailable. UCLA has copies and presumably whoever owns the rights to the show these days has the original prints somewhere. How did you get the episode. Jeff’s absolutely correct: SONY does have the entire series in their vaults- they simply feel that “no one’s” interested in seeing “GETTING TOGETHER” these days. After all, “LOVE ON A ROOFTOP”, “OCCASIONAL WIFE” and “THE SECOND HUNDRED YEARS” weren’t “exhumed” until the ’80s, when they were syndicated in a “package” with other Screen Gems/Columbia “one season wonders”….think of it! Wouldn’t you like to see what other “goodies” are gathering dust in those vaults, too? Until the day they realize WHAT “treasures” they’ve got squirreled away, you’ll have to content yourself with reading one of the paperback “tie-in” novels…. I remember greatly enjoying this show. I was nine-years-old at the time, and my mother also liked it. I also fondly remember my Bobby Sherman records from the back of boxes of Post Raisin Bran! I remeber in my youth being angry at the ABC station which would not show this program on its scheduled night and instead showed some local, syndicated stuff and put this show on the weekends but now I have to commend them on their taste for having looked at this show now it was silly, routine and not really all that funny. I somehow remember this show being called “The Bobby Sherman Show.” Of course, I was only 7 years old when this show came out, so it was so easy for me to get the title of a show wrong like that. My sister was 11 years old back then and she just loved this show. I think she had a crush on Bobby Sherman. She and her friends always seemed to keep up with his recording career. I remember the kid sister Jenny or Jennifer. I think that was another reason my sister watched this show. This young girl had to deal with the same peer pressures that my sister and her friends did. And when the kid sister was getting interested in boys, Bobby Sherman was the supportive older brother who guided her on the do’s and don’ts of dating and dealing with boys. I think that flattered a lot of young girls my sister’s age then, because here such advice was coming from this hunk of an older brother who probably every young girl who was friends with his sister found one excuse or another to visit with the kid sister so that they could gawk at him. And believe me, my sister and her friends and just about every girl I knew that age back then was boy-crazy. That stuff was all a bunch of gushy love mush to me back then. I just liked seeing this show, because it was fun to see how Bobby Sherman and his buddy would try to get that one big break in the music entertainment industry they were searching for. In other words, this show was kind of like my idea of young people pursuing the American Dream. Too bad it didn’t last as long as it should have. I think if this show hadn’t gone up against the kind of odds it did with airing around the same time as “All In The Family,” it might have even lasted into the late 1970s or even all the way up to the mid-1980s like “Happy Days” did. It had that same kind of appeal to little kids and adolescents and even young adults that “Happy Days” did. Jeffrey, “The Bobby Sherman Show” was an early working title for Getting Together. Perhaps it was even initially promoted under the title. One quibble with your article. THE PARTNERS was canceled at midseason by NBC. It was replaced by Jack Webb’s EMERGENCY in January and I’m fairly sure didn’t run for a full year. If I recall correctly, EMERGENCY survived the first year despite low ratings because its competition was the number one show on TV (ALL IN THE FAMILY) and its ratings were growing. Very problematic for ABC because anyone who wasn’t watching AITF was watching EMERGENCY. As a result BEWITCHED, ALIAS SMITH AND JONES, THE PARTRIDGE FAMILY, KUNG FU and many other less well known shows all bit the dust. BEWITCHED canceled itself. ABC was preparing to bring it back for a 9th season but the star and her husband producer said no. I read that Elizabeth Montgomery and Bill Ashers production company Ashmont was given an order for two new shows on ABC, TEMPERITURES RISING and THE PAUL LYNDE SHOW to replace a ninth season of BEWITCHED. ABC was under contract for a ninth season based on a 1970 contract for three more seasons. Had BEWITICHED had any success against Archie Bunker it would have been back. However it was third in its timeslot in the bottom ten shows. ABC opted for the two new shows instead of a ninth season. So really ALL IN THE FAMILY knocked off BEWITCHED after eight seasons.